I realised it has been a long time I posted anything baked. I love to bake. Baking is something with which I had started my food journey. Though I was cooking even beforethat, it used to be a simple affair. 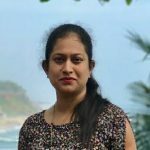 I had never stepped out of my comfort zone and experiment with food.But when I started baking, I started spending lots of time over the internet and various food blogs. My initial days of baking was nothing less than a disaster. I usedto feel miserable seeing things getting wasted. But for some reason I didn’t give up. I learned a lot from my mistakes. And finally I conquered my fear. Cakes, cookies, Bread I have tried my hands on everything. If time permits I take order for birthday cakes for my neighbours. So my journey from a novice baker to a decent one has seen ups and downs. But one thing I learned is when it comes to cooking that along with passion, it needs lots of patience. When you are following a recipe especially baking, then follow the recipe carefully. Baking is a science and one just can’t play with mesaurements and process. If you are really serious about baking then you should first understand some basic theories behind baking, that will make your work quite easy. I am going to share few tips and tricks on baking very soon. Coincidently Sreelatha fellow blogger and a friend of mine,who blogs @ Framed Recipes has also baked some beautiful cornmeal muffins with a added twist of cardamom butter. 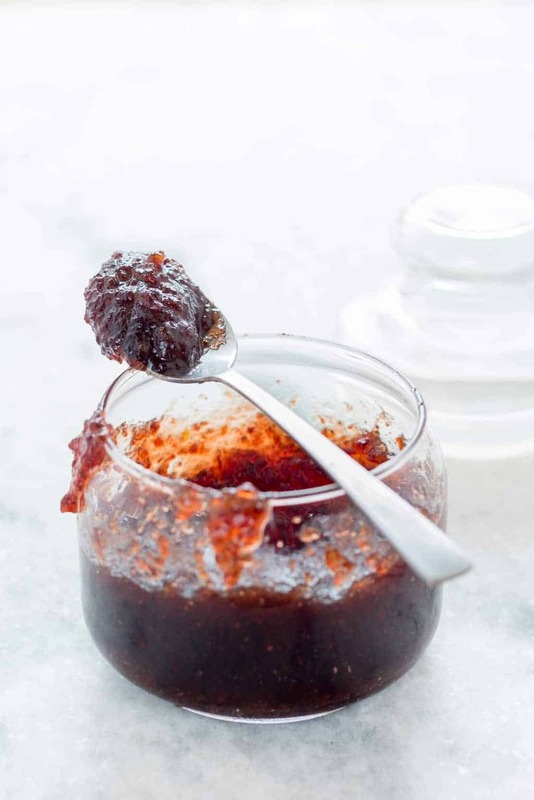 So if you can’t get hold of cranberry jam then honey cardamom butter would be your best alternative. 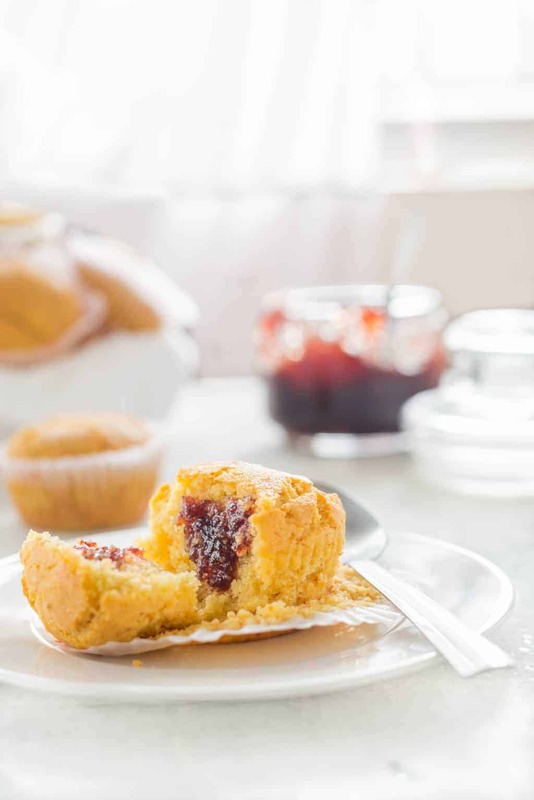 Moist & flavorful muffins with cranberry jam are perfect with a cup of coffee or as your breakfast. 1\. Pre-Heat oven at 375 degree Celsius. 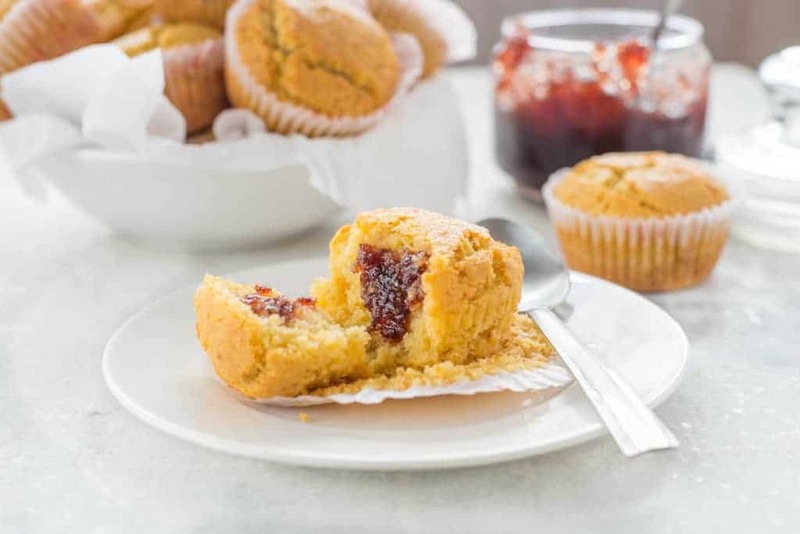 Prepare muffin tray by lining Paper liners or grease it. In a big mixing bowl add all the dry ingredients. Mix well. Add the wet ingredients to the dry ingredients. Mix until everything just incorporated. Don't overmix. A little bit of dry ingredient here and there is absolutely fine. Using small ice-cream scoop, fill the cup till 1/4. At the middle spoon 1/4 tsp . Fill rest of 1/2 with the batter. 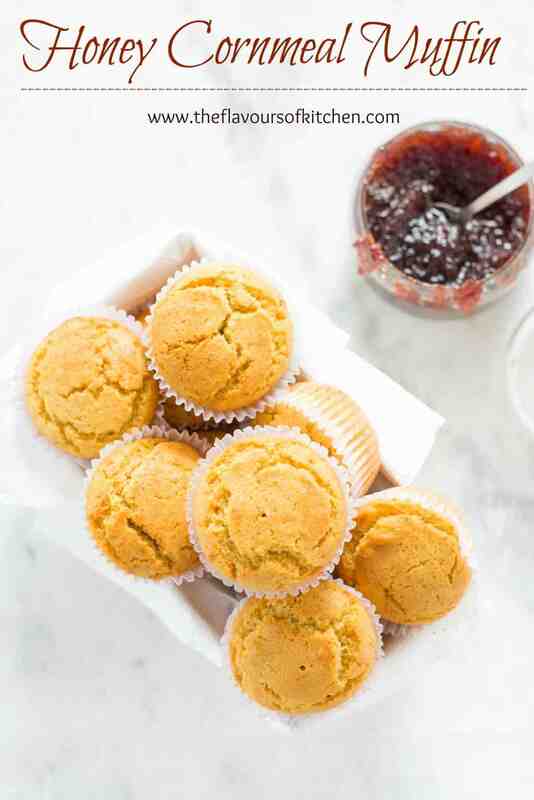 Fill all the liner cups similarly with batter and jam. Bake in the middle oven rack for 18-20 minute or till wooden skewer comes out clean.